Prose writer, journalist, publishing editor, writer of screenplays, novels and detective stories. He has also written a play and an opera libretto. 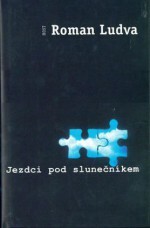 His books have been published in Hungarian, Croatian and Slovenian. He was the recipient of the Children’s Jury Award at the Ota Hofman Festival in Ostrov nad Ohří. He was born in Ústí nad Orlicí on 10 July 1966. The key construction principle of Ludva’s novels is ingenious – and quite undisguised. The narrator plays with a secret, with a sustained weakening of tension which his presence raises, he plays with the reader’s expectations and frustrations, which Ludva’s approach necessarily requires. 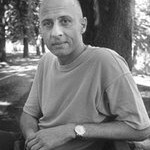 His debut novel was the postmodern Smrt a křeslo (Death and the Armchair, Votobia, 1996), which owes a debt to the writer Jan Čep, though at the same time it is based on the classic intellectual-detective format (a mystery in a library leads to an old murder). The book that followed, Žena sedmi klíčů (The Woman of Seven Keys, Petrov, 2007), was conceived as a homage to Alfred Hitchcock. “If the symbolic elements in Ludva’s debut book were fairly easily identifiable, here the writer seems to have abandoned the idea of a pan-symbolism for the world and life. After reading the novel, the question may surface as to whether the whole book is not solely the product of the author’s game, the aim of which was to set a trap for the reader. A trap that everyone falls into who is looking for some overall meaning,” wrote academic Aleš Haman about the book. The author presented a relatively complicated picture of human relationships against the backdrop of a fascinating secret – the main character collects bamboo replicas of liturgical objects from seven baroque churches across the world, which blossom and wither at the same time everywhere across the globe. There then followed the thriller Jezdci pod slunečníkem (Riders under a Parasol, Host, 1999). The secret here consists of a jigsaw puzzle which links the wife of a murder investigator to the murderer. 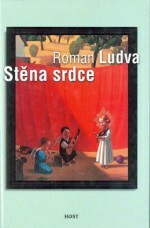 The novel Stěna srdce (Wall of the Heart, Host, 2001) is about the search for an old picture which was painted with invisible ink in the 13th century. 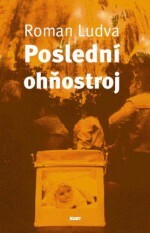 Poslední ohňostroj (The Last Firework, Host, 2004) looks at the lives of four fortysomethings and their many love affairs. This time a collection of Hollywood screenplays forms Ludva’s favourite motif of secrecy. Ludva is also an excellent short-story writer. 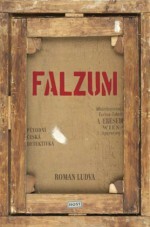 Following the publication of individual works in collections and anthologies, they were collected and published as Falzum (Forgery, Host, 2012). Five detective stories link the main characters and their hobbies – a café intellectual is interested in art, a villager from the mountains likes trains. Each time there is an investigation into the theft of artistic works or a murder which is linked to it. “Those who have at least some interest in the art market will generally have a better read than lovers of detective novels,” wrote Pavel Mandys in his review of the book for iLiteratura.cz.